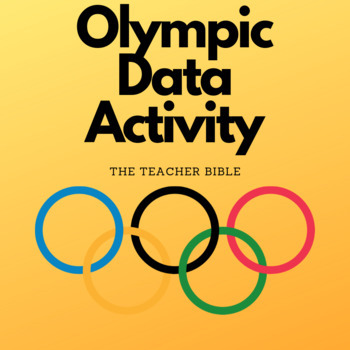 This product is an activity that gets students to analyse 100m sprint and high jump data from the Olympics. 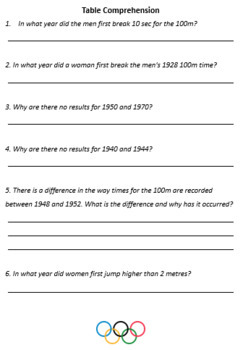 Students are required to answer a range of questions by reading the table of information and graphs provided. 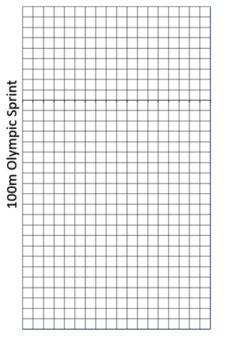 There is also an option for students to graph the data for the 100m sprint data. 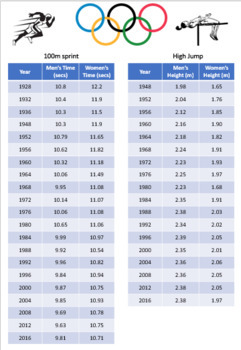 The questions provided require students to think in a deep manner and not just at a surface level by reading and calculating values from the graph. An answer key is provided. Please see preview for a full version of the document with some answer pages missing.